Water filters for Mr. Coffee - mr coffee Maker models: FT, IS, DR, CG, DW, SK, JW, JH, DB, VB, RM, TF, NC, PL, NL, UN and UR 12-CUP SERIES. Easy to use, simply place a cartridge into the water filter assembly and insert into your water reservoir. Suggest pre-soaking for 5-10 minutes for maximum efficiency. Removes impurities (chlorine, odors, calcium & others) that interfere with taste and quality. Replace monthly for best results. Premium Quality Replacment Charcoal Water Filters for Mr. Coffee Machines and Brewers. Replaces your Mr. Coffee water filter. Removes impurities (chlorine, odors, calcium & others) that interfere with taste and quality. Quality meets or exceeds original filter. Fits all Mr. Coffee machines that require a disc shape water filter. Bulk packaged with the enviroment in mind, in one clear resealable bag. 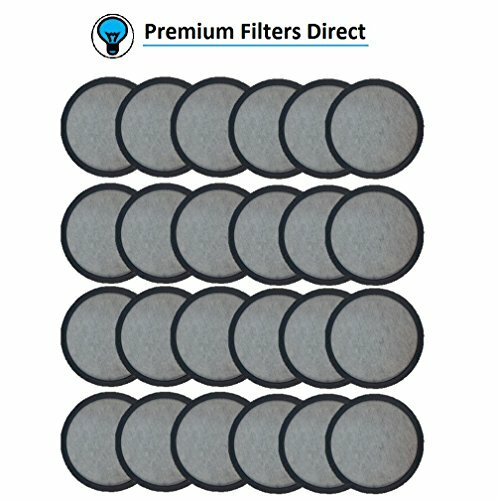 If you have any questions about this product by Premium Filters Direct, contact us by completing and submitting the form below. If you are looking for a specif part number, please include it with your message.